Over 20 hose reels are going to make life more interesting for rescued monkeys, thanks to the Theatre Royal. The safety equipment in the theatre is being updated and as the theatre is always looking for new ways to reduce the carbon footprint and increase recycling rates, it was decided to try and find an alternative use for them rather than sending the hoses to landfill. The Monkey Sanctuary in Looe is now going to use the hoses to provide enrichment for the monkeys they look after – basically anything new and different found in their enclosures will enrich their lives as they try and work out what it is. 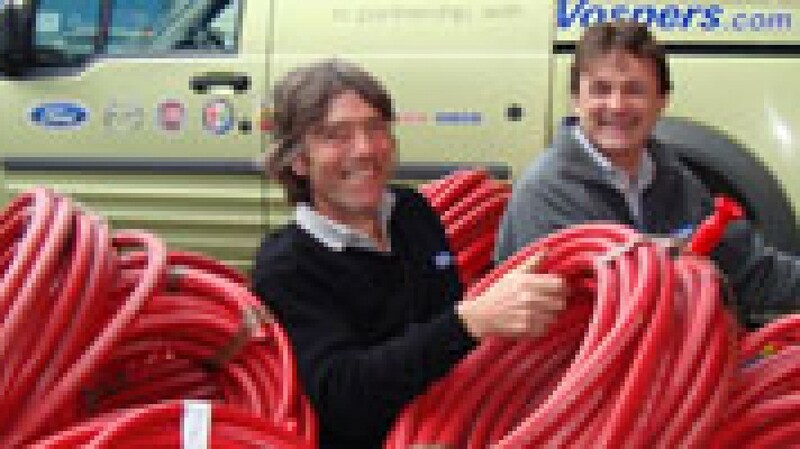 The hoses have now been delivered, and are being incorporated into new enclosures which should be ready soon. See All News Next Article: Panto Stars Announced!